Most tent manufacturers these days offer a superlight, two pound (or less!) tent. These tents are simple to setup, occupy a very small footprint, and again – weigh in at about or under two pounds. 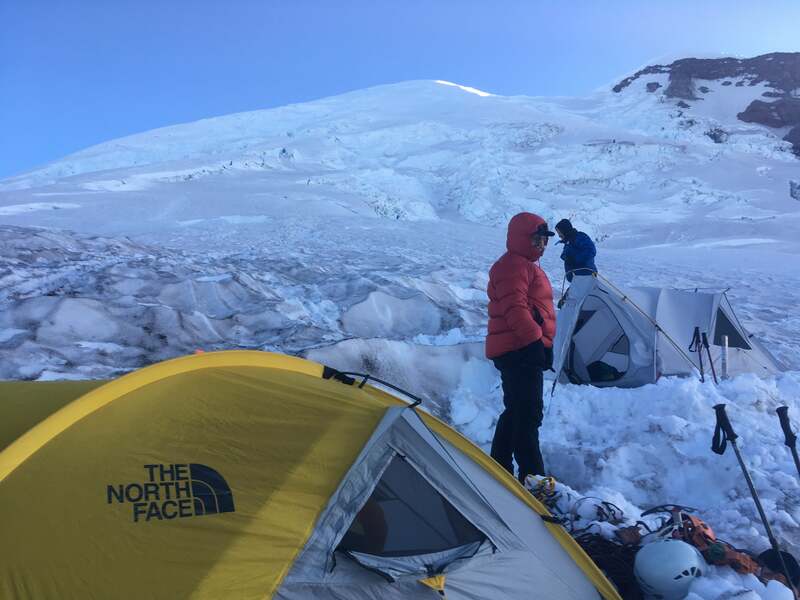 When choosing a tent, it’s easy to focus on those factors and arrive at the conclusion that a single-walled shelter is appropriate for your trip into the mountains. In cold conditions or over the course of a longer trip, one of the pitfalls of a single-walled shelter is condensation buildup. Condensation buildup occurs when a lack of ventilation allows for a steep temperature gradient between the interior and exterior of your shelter. Double-walled constructions provide ventilation between the body and fly, meaning that a layer of air at an “in between” temperature helps the interior walls of the tent not develop condensation by making that temperature gradient less steep. Check out a quick example of what can happen inside a single-walled shelter.